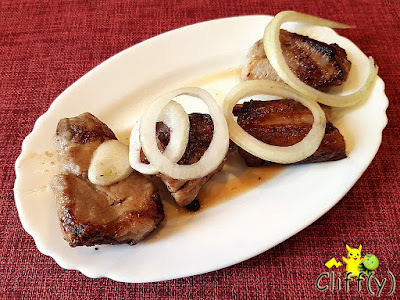 Delicious barbecued pork in private room! My BFF and I only had one chance to have a proper meal in Gori, Georgia, the town where Joseph Stalin was born. 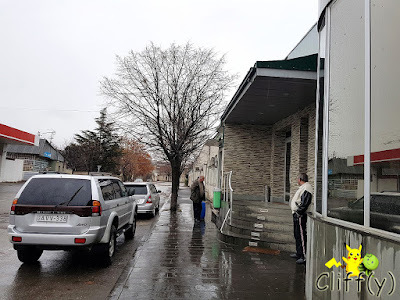 As we were going to catch the one and only train back to Tbilisi, we decided to eat somewhere nearer to the train station. Orbi's Restaurant was our choice for the afternoon. The restaurant seemed to be closed, although the main door wasn't locked. When my BFF asked a lady inside, "Orbi's Restaurant? ", we were ushered to a one of the private rooms. I suppose she belongs to the family owning the restaurant. Unfortunately, she can't speak English. Georgians love walnuts. They make walnut sauce called satsivi, which is used in various recipes. 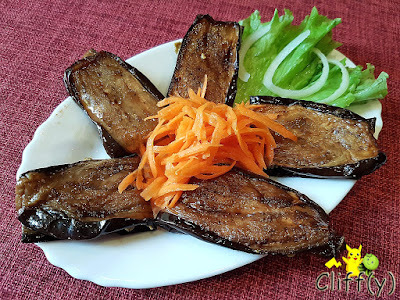 As a starter, we ordered a cold dish of pan-fried eggplants smeared with such sauce, which was quite thick and just a little bit chunky. Overall, they were pretty savoury. 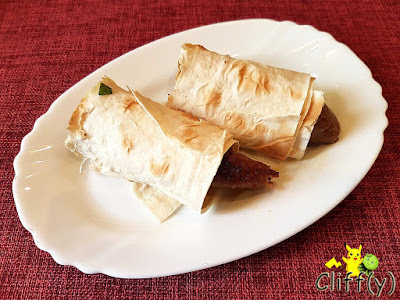 As many dishes weren't available when we were there, we ended up with a plate of two wraps with sausages made of minced lamb and onions. Taking one each, we felt that it was somewhat dry, but flavour wise, it could still pass. I wasn't expecting a lot in terms of flavours as the barbecued pork looked kinda plain, but my assumption turned out to be completely wrong. The red meat was executed well, being succulent and flavourful at the same time. 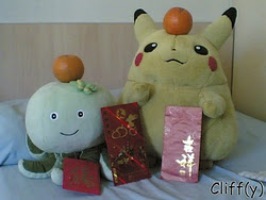 It was complemented by some onions that were full of natural sweetness. We had a local pizza with cheese and only cheese as not only the topping, but also the filling. 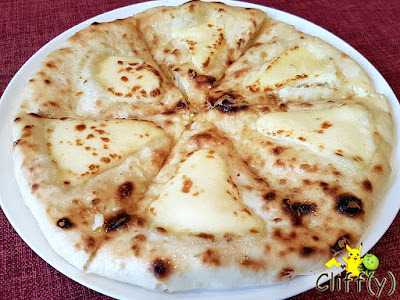 While the cheese was pretty good with some briny aroma and not too salty, the taste became a tad boring towards the end since there were only two of us to share the carbohydrates. Nevertheless, I enjoyed the chewy texture of the bread. The restaurant is inconspicuous as there's no signboard at all. 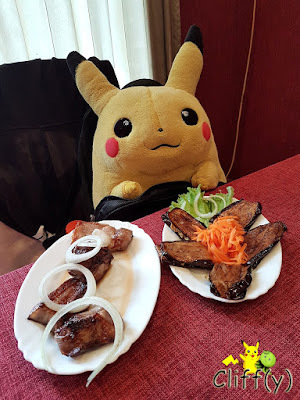 Pika's advice: I don't really drink beer, but I heard that the restaurant sells locally brewed beer at a highly affordable price. You may want to check it out.